A Seriously Silly Christmas Play by playwright Phil Hall is an ensemble comedy that brings the snappy wit of a TV sitcom to a four-dimensional stage setting. 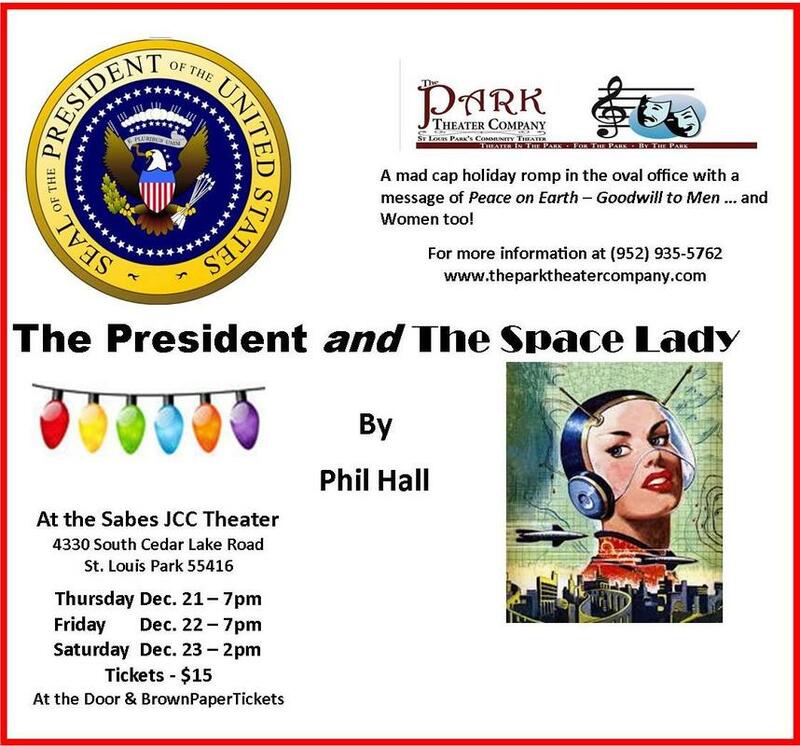 The play takes place in two acts on Christmas Eve in the Oval Office of the White House. Real life issues – transition of power, presidential protocol, national security, peace on earth – are mixed with absurdity, slap stick humor, and huge doses of innuendo and double entendre with tons of laughs … and double chalupas. “Twas the night before Christmas and all was quiet” – well almost quiet – until an extraterrestrial lands in the Rose Garden. Let the fun begin! “When he lost his celibacy, he lost his mind.